A parable from the 19th Century that the insurance industry would do well to remember as it (directly and indirectly) presides over a ‘system’ whose man-made complexity – created to strip value from its customers/suppliers in order to sustain its own, spiralling and unregulated, greed – is the biggest single threat to its survival own. PLEASE follow the links (below) in relation to opportunity costs and …unintended consequences for further explanation. Both are economically significant, yet, apparently, too readily overlooked by acolytes of Irresponsible Capitalism. Yet another entry for the bulging category of inconvenient truths to be swept under the proverbial Corporate carpet! Law of unintended consequences: is particularly relevant to those of us with an ‘interest’ in complex systems, risk, complexity and resilience. For, although recognised in the days of Adam Smith and the Scottish Enlightenment, it is too readily overlooked. Now that’s bad enough BUT, when you recognise what we now know about dynamic, non-linear, business [digital] systems, IT IS CRIMINAL! As is the ongoing practise of teaching economic theory that is known to be flawed!!! 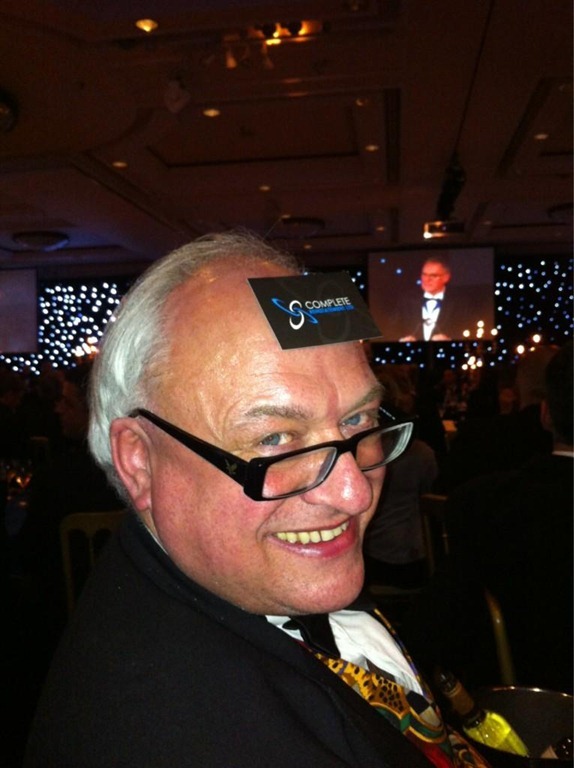 Scottie McClue still at the sharp-end! If this were a sign of things to come, I suspect that there would be many within the ‘Claims Management’ industry who would be quaking in their boots! It has given me a novel idea for a new business though. How about I set up an operation that, for a nominal fee, properly reviews settled losses and takes a percentage where amounts above a certain threshold where internal fraud has been perpetrated! I know exactly the type of claims and organisations I would start with because they aren’t all out of business and many of the ‘professionals’ who have knowingly or unwittingly played their part are easily recognised. Still, grateful for small victories like these and the ongoing efforts of IFB…onward and upward! A recent article regarding the failure of Merlin and some dubious industry practices has attracted an incredible amount of interest and comment. It led to an interview that appeared in the insurance press [Post Magazine]. CII Thinkpiece on networking:: the smell of bs in the morning…no thanks! I’ve been in this business for a long time and, despite there being plenty of people able to bear witness to the fact that I’m a pretty “social animal” the truth is I have always despised networking! I cringe at the type of gathering that has, otherwise typically reserved Brits, feign joy because somebody who sells printing or dry cleaning services has just done some business with the person who sells life assurance or will writing. It’s all…well, how can I say this, FALSE! There is never the enthusiastic whooping and hollering of a Jerry Springer show and I’m sure an awful lot of that is down to the simple fact that most people are there under duress. Their boss or their sales figures sent or led them there out of desperation and the first measure of their success is how many business cards (even compliment slips) they offloaded or collected! Nor am I keen on engaging with people purely on the basis that there might be some business in it. Exchanging pleasantries and small talk over a glass of wine and canapés whilst trying to ingratiate ourselves to each other would give anyone indigestion. 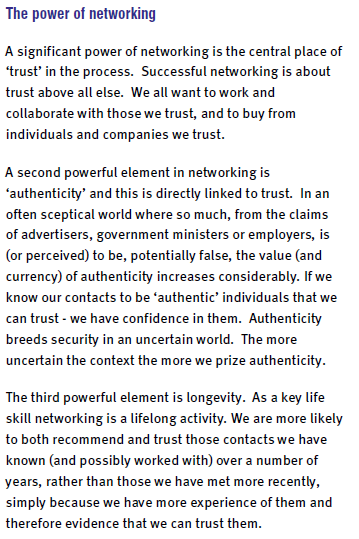 If these are the basic ingredients for forming worthwhile, longstanding, business relationships then, to me (because this is only my opinion) the business world (particularly in Financial Services) IS as shallow and undeserving of trust as it has consistently shown itself to be in recent years. The thing about it is that, ALL the people who recognise these scenarios from their own past experiences are both vendors and buyers of a range of different products and services! So, we know bs when we smell it in the room or on our new best friend’s breath. Often it is the smell of fear or business-sponsored insincerity worn like an ill-fitting suit!! !